On Sunday 7 April Wayfarers will perform excerpts from Judy's Kakadu and Nganbra at the Two Fires Festival for Arts and Activism, Theatre Royal, Wallace Street, Braidwood at 1.20 pm, to be followed by Margo Neale's presentation of her Seven Sisters exhibition (which was at the National Museum in 2018). 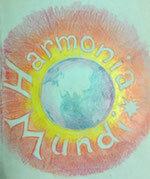 In July 2019 Judy is inviting Australian and overseas Steiner students from the age of 12 to adults to spend two weeks rehearsing Harmonia Mundi, as well as a body of new choral compositions to be submitted by Wayfarers all over the world on the topic of 'Harmonia Mundi'. Then the program will be toured for two weeks from Canberra to Victoria and South Australia. Singers from 10 years to adult are invited to learn ten new choral songs written recently by Wayfarers around the world, all on the theme of cherishing our planet and each other. Cost $20 full adults, $10 concession adults, school students or full time tertiary students. In February 2019 Wayfarers with guest recorder players performed Mysteries in Carey's Cave at Wee Jasper: Robert Kennedy's The Mystery of the Cave for recorder quartet, Kyrie from Fauré's Requiem and other short pieces, with recorders and celli accompanying the voices. In Januray 2019 Wayfarers gave five performances of Judy's music theatre version of Robert Browning's The Pied Piper at the Tuggeranong Arts Centre, Canberra. In December 2018, in the Australian Centre for Christianity and Culture, Canberra, augmented Canberra and interstate Wayfarers performed Schütz's Magnificat for double choir, with Luminescence chamber choir. Other works included settings of the Magnificat by Palestrina, Mendelssohn, Distler and Pärt. From June - August 2018 some Canberra Wayfarers participated in a series of Choral Mastery sessions, which Judy co-taught with David Cassat. Heavenly Grandfather's Banquet was performed in Canberra schools by Wayfarers in the last week of June 2018, featuring Christopher Lincoln-Bogg in the title role. On Maundy Thursday, 29 March 2018 at 6pm the Canberra Wayfarers performed an SATB version of Pergolesi's Stabat Mater in St. Alban's Anglican Church, Chappell Street, Lyons, featuring Sarah Berger-Alexander as soprano soloist and AJ America as alto soloist, accompanied by Emily Leong on the piano with recorder soloist David Cassat. In 2017 Judy composed Why? - a piece for unaccompanied SAAB choir, requested by citizens concerned at the high incidence of unacknowledged police suicides. Singers from all over the world were invited to participate in the project by sending a recording of them singing the part that matched their voice. About 35 singers from Australia (Canberra, Federal NSW, Sydney, Newcastle, Melbourne, Bendigo and Perth), Taiwan, Germany and Brazil contributed recordings of one, two or three parts. The proocess of synchronising the 40 tracks took 15 hours in Kimmo Vennonens' sound studio. Here is the finished result on YouTube. Wayfarers Australia presented three performances of Judy's music theatre version of Saint-Exupéry's The Little Prince at the Tuggeranong Arts Centre, in December 2017. The cast included ten of the original cast who performed it at the Edinburgh Fringe Festival in 2016, combined with five members of the cast who performed it in Canberra in January and February 2017. The performance included puppetry, songs and dances. Click on the image for the full poster. The performance was videoed and will be available on YouTube soon. 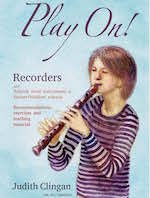 Canberra launch of Judy's new book on recorder teaching in Steiner Schools, Play On! - 26 March, 2pm at Orana Steiner School drama room. A Melbourne launch of Play On! was held in July. Click on the image for for the full cover. The Chinese edition of Play On! was launched in Taiwan in April 2018. The book can be purchased through Lulu Online Publishers for $60. The German edition will be available in 2019. 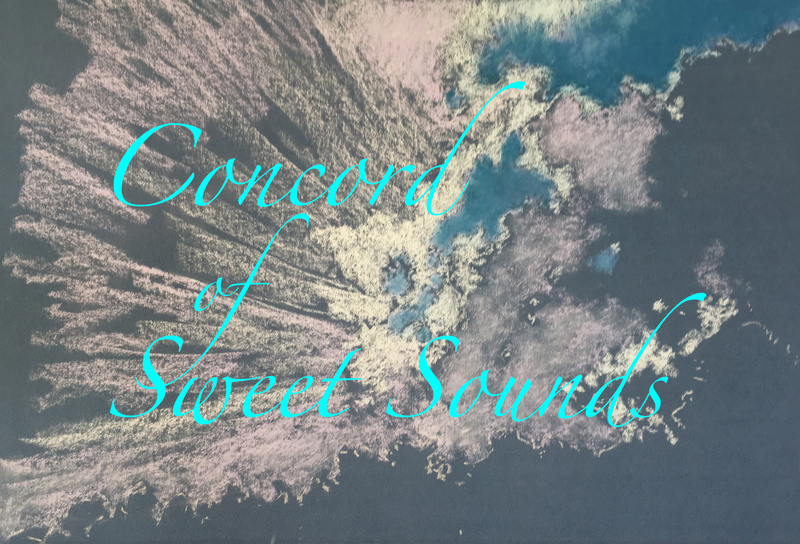 Canberra Wayfarer's performance in St. Alban's Church, Lyons 'Concord of Sweet Sounds' in June 2017. Click on the image to see the program cover, which features a pastel drawing by Judy's sister Jill Clingan. Wayfarers from Australia, Taiwan, China, Europe, UK, Japan and Korea came together with Judy and her daughter Jess to perform Harmonia Mundi and choral and orchestral repertoire in Hokkaido, Japan and Seoul, Korea in July / August 2017. In August 2017 Judy and Canberra Wayfarers gave a presentation of live excerpts from Harmonia Mundi together with slides and videos at the ANU School of Music's conference 'Women in the Creative Arts'. in August 2017 Canberra Children's Choir celebrated it's 50th Anniversary. This included workshops given by Padma Newsome, Geoffrey Badger, Stephen Leek and Judy. Current Children's Choir members together with guest artists performed Judy's 2016 opera for children Heavenly Grandfather's Banquet. In September 2017 Judy and Minnie spent two weeks in Lorinna, Tasmania, workshopping and performing her music theatre version of The Wind in the Willows. In October 2017 Judy and Minnue gave a week of workshops with adults and students from classes 3 - 6 at the Casuarina Steiner School in Coffs Harbour. In October 2017 Canberra Wayfarers performed music from Harmonia Mundi at the Churchill Fellows concert at the High Court. In January Judy taught over 100 teachers from all over India singing, recorder, music literacy and visual art. Judy was commissioned by Coro to compose a choral piece dealing with the issue of equality, which resulted in Truths. Judy conducted music theatre workshop The Voyage of the Dawn Treader at Lorinna, Tasmania in March. Judy performed premiere of her Heavenly Grandfather's Banquet (music theatre) with Taiwanese Wayfarers in Taiwan and China, April - May. Judy's daughter Jess was the stage director. A small, select group of Wayfarers from Australia, Taiwan and Italy performed at the Edinborough Fringe in August - premieres of Judy's musical setting of Saint-Exupíry's Le Petit Prince and choral works by Judy and Gawain Davey from Australia, and several contemporary Taiwanese composers. In the inaugural Canberra Festival for Peace, Judy joined with many other Canberra women singers in April (as both a soloist and member of the Chorus) to perform Glenda Cloughley's new music theatre work A Passion for Peace to coincide with the centenary of the big International Women's Congress that met in The Hague in April 1915 to end World War I and find a way towards sustainable peace (click here for more information). As part of the same peace festival, Judith and other musicians, including a children's choir, presented two concerts: Things Are Changing - short songs looking at a variety of issues surrounding our understanding of peace, and Songs of Passion and Compassion featuring works by Judith, Honey Nelson and other Australian composers which look at how we humans have often failed in our treatment of fellow humans and natural world. The second concert was presented by a small selected SATB vocal ensemble. In July Judy directed Jubilate - two weeks of music and music theatre workshops for adults and young people, with tutors from around Australia. 89 participants came from Taiwan, China and Japan, as well as Australia. Students aged 15 to adult studied choral singing, choral conducting, voice production, musicianship, sight reading, recorder, song writing, music pedagogy, and instrumental work, choosing strings, guitar, wind, piano etc. Younger children worked on music theatre pieces. In August most of the Jubilate overseas participants stayed in Australia to join the World-Wide Wayfarers tour of Eastern Australian Steiner Schools, giving the premiere performances of Judy's music theatre work Endangered, as well the children's piece The Singing Mermaid and choral works. In October Judy spent three weeks teaching the history of Western music to senior students as the Ci-Xin Waldorf School in Taiwan. She then spent almost three months in India, helping music programs at Steiner/Waldorf Schools in Bengaluru, Hyderabad, and Mumbai, as well as visiting the amazing music workshop at Auroville, Svaram. In January Judy taught at the Humanising Education conference in Mumbai, India. In February and March she taught the history of Western music to senior students at the Ci-Xin Waldorf School in Taiwan; in April she was joined by 20 Australian mostly young adult Wayfarers as she worked on her opera Marco with students and teachers from the Taiwan school. The performances toured Taiwan as well as going to Hokkaido in Japan. In December Canberra Wayfarers performed less-well-known Christmas carols, including some by Canberra composers David Yardley and Judith at the Christian Community Chapel in Hackett.